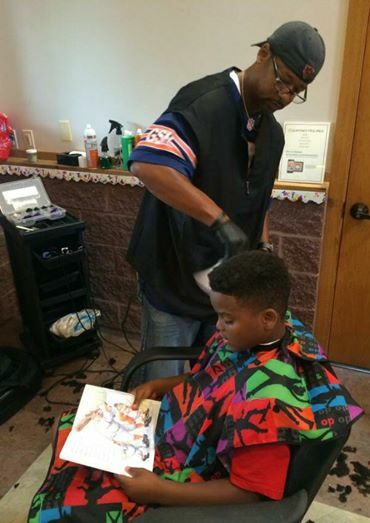 An Iowa barber has developed a creative way to get kids reading. Courtney Holmes, a barber in Dubuque, offered free haircuts to kids who read out loud to him during an appointment on Saturday, USA Today reported. The initiative was part of a back to school event, and Holmes hopes the storytelling will help young students strengthen their reading skills. “The kids would come in, and I would say, ‘Go to the table and get a book you might like, and if you can’t read it, I’ll help you understand and we can read it together,'” Holmes told the news outlet. This entry was posted on August 17, 2015 at 9:34 pm and is filed under Literacy. You can follow any responses to this entry through the RSS 2.0 feed. You can leave a response, or trackback from your own site.